The Westin St John Resort has completed extensive repair and rebuilding to erase the damage done by Hurricane Irma. All of the condominiums on the resort have been fully refurbished to current Westin standards. New landscaping is in place and it looks fabulous. The island is ready for visitors and the restaurants and shops need your business. 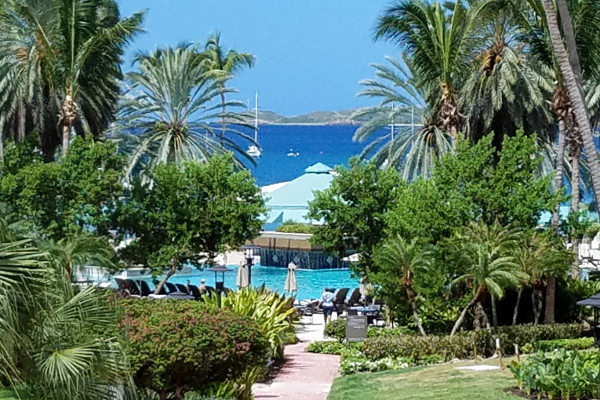 We rent villas (condominiums) that are located on the Westin St. John Resort, the most popular resort on the island of St. John in the US Virgin Islands. These are time-share condominiums, and we have almost 300 of them in our rental inventory each year, more than anyone else. Most of these condominiums are available for a specific week within the year. But our rental inventory also includes some Westin villas that allow for more flexible arrival and departure dates. Thus, we can sometimes offer our guests the ability to have shorter or longer stays, mid-week arrival or departure dates, etc. 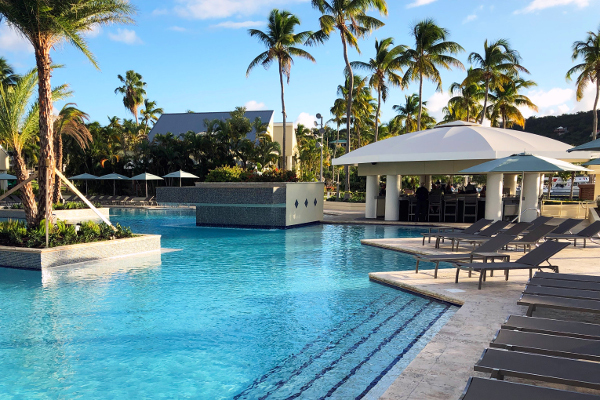 As our guest, ALL the facilities of the Westin Resort are available to you under the same terms as for any other Resort guest; however your rental fee will be MUCH less than you would be charged by the Westin itself. We were the first folks to specialize in Westin St. John villa rentals, and we continue to have the largest inventory of condominiums on the Resort. We live approximately 5 minutes from the Westin Resort, so we are ALWAYS available on short notice -- day or night -- to answer questions or help with difficulties. Honeymoon Beach on St John. We will describe in lots of detail the various Westin condominium sizes and types, and we will provide floorplans and photos, too. You will also find here information about the Westin St. John Resort -- including photos -- of the many, many things available for you and your family to do there. 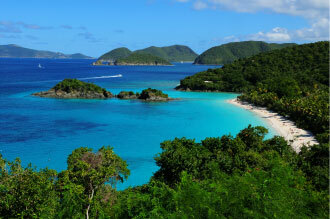 And we will do our best to portray St. John itself: one of the most beautiful places we have ever visited. Indeed, approximately 50 per cent of St. John's land is a US National Park; and National Geographic Magazine has opined that the park's Trunk Bay Beach is the second most beautiful public beach in the world. 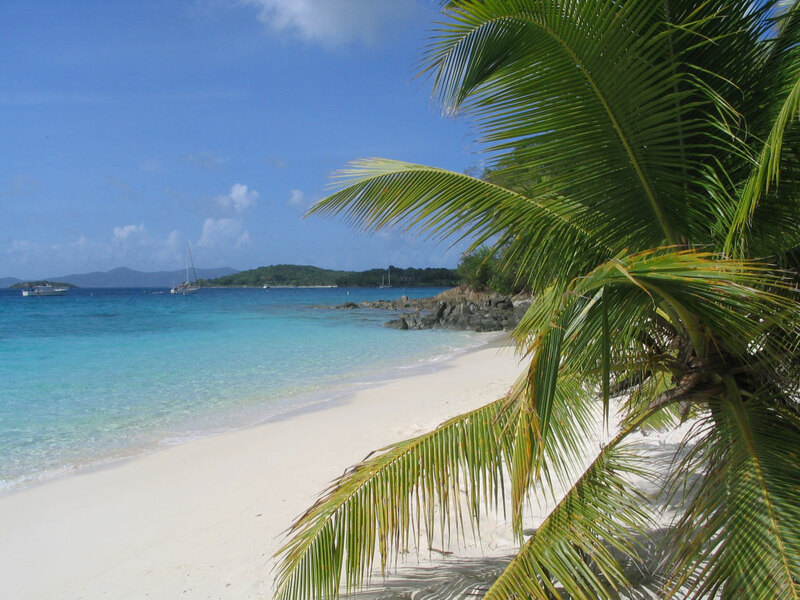 Starting in 1989, our family vacationed on St. John, visiting the island as many as three times a year. From the beginning, we stayed in time-share villas that we had purchased at this Resort. In 1999, we bought a home on St. John, and Kevyn and Steve now live here full-time. We then decided to make our time-share villas at the Westin St. John available for rental to others who might wish to visit the island. As time passed, many other time-share owners began to ask us to rent their condominiums at the Westin Resort on their behalf. And so our rental inventory has grown to include villa availability throughout the entire year. Trunk Bay (top) photo provided by Kurt Holter Photography, (301) 698-0287.